The Strade Nuove and the system of the Palazzi dei Rolli in Genoa’s historic centre date from the late 16th and early 17th centuries when the Republic of Genoa was at the height of its financial and seafaring power. The site represents the first example in Europe of an urban development project parcelled out by a public authority within a unitary framework and associated to a particular system of ‘public lodging’ in private residences, as decreed by the Senate in 1576. The site includes an ensemble of Renaissance and Baroque palaces along the so-called ‘new streets’ (Strade Nuove). The Palazzi dei Rolli offer an extraordinary variety of different solutions, achieving universal value in adapting to the particular characteristics of the site and to the requirements of a specific social and economic organization. They also offer an original example of a public network of private residences designated to host state visits. Les Strade Nuove et le système des palais des Rolli dans le centre historique de Gênes datent de la fin du XVIe et début du XVIIe siècles. Le site représente le premier exemple en Europe d’un projet de développement urbain loti par une autorité publique dans un cadre unitaire et associé à un système particulier d’hébergement public dans des résidences privées telles que decrété par le Sénat en 1576 quand la République de Gênes était au sommet de sa puissance financière et maritime. Le site comprend un ensemble de palais Renaissance et Baroque bordant les « rues neuves » (Strade Nuove). Les Palazzi offrent une extraordinaire variété de solutions différentes, ils ont une valeur universelle par leur adaptation aux caractéristiques particulières du site et aux exigences d’une organisation économique et sociale spécifique. Ils constituent également un exemple original d’un système public de résidences privées qui avaient l’obligation d’héberger les visiteurs d’Etat. تعود السترادي نووفي ونظام قصور رولّي في الوسط التاريخي لمدينة جَنَوة إلى نهاية القرن السادس عشر وبداية القرن السابع عشر. ويشكل الموقع المثل الأول في أوروبا على مشروع تطوير حضري تقوم به سلطة عامة في إطار مندمج وله علاقة بنظام خاص بالإسكان العام، كما أقرّ مجلس الشيوخ في العام1576 عندما كانت جمهورية جَنَوة في أوج قوتها المالية والبحرية. ويحتوي الموقع على مجموعة من قصور بأسلوب عصر النهضة والأسلوب الباروكي على طول "الشوارع الجديدة" (سترادي نووفي). وتقدم القصور (بالاتسى) تنوعًا مذهلاً من حيث الأشكال الهندسية المتنوعة، وترتدي قيمة شمولية بتكيفها مع المميزات الخاصة بالموقع ومستلزمات تنظيم اقتصادي واجتماعي محدد. كما تشكل مثلاً مميزًا على نظام عام من المساكن الخاصة التي لها وظيفة استقبال ضيوف الدولة. Улица Ле-Страде-Нуове и комплекс дворцов Палацци-деи-Ролли в историческом центре Генуи (конец ХVI – начало ХVII вв.) представляют собой первый в Европе образец градостроительного проекта, имеющего единую структуру. Территория была разбита органоми местной власти на участки, в соответствии с особой системой создания «общественных жилищ», основывающейся на законодательстве. Дворцы Ролли являлись резиденциями, построенными богатейшими и наиболее влиятельными аристократическими семьями Генуэзской республики, когда она находилась на вершине своей мощи в области финансов и мореходства. Объект включает ансамбль дворцов в стиле ренессанс и барокко вдоль так называемых «новых улиц» - Страде Нуове (ныне – Виа-Гарибальди). Воздвигнутые здесь в конце ХVI в. огромные дворцы-резиденции образовали квартал знати, которая по конституции 1528 г. составляла правительство Республики. Дворцы, в основном трех- или четырехэтажные, характерные величественными открытыми лестницами, дворами и лоджиями, выходящими в сады, расположены на нескольких уровнях в довольно стесненном пространстве. Влияние такой модели городского проектирования проявлялось, судя по итальянской и европейской литературе, в последующие десятилетия. Дворцы демонстрируют чрезвычайное разнообразие архитектурных решений, позволяющих максимально приспособиться к особым свойствам местности и учесть социально-экономические условия. Они также являются оригинальным примером сети домов, предназначенных по постановлению Сената от 1576 г. для приема гостей города, прибывающих в него с государственными визитами. Владельцы дворцов были обязаны размещать у себя этих гостей, что способствовало распространению знаний о здешней архитектуре и бытовой культуре. Это привлекало сюда известных художников и путешественников, ярким свидетельством чего является собрание рисунков Питера Пауля Рубенса. Las Strade Nuove y el sistema de los Palazzi dei Rolli del centro histórico de Génova datan de finales del siglo XVI y principios del XVII, época en la que esta república marítima se hallaba en el apogeo de su poderío financiero y comercial. Este sitio ofrece el primer ejemplo de proyecto de ordenación urbana en parcelas realizado en Europa por los poderes públicos en un marco unitario, y está asociado a un sistema particular de alojamiento público en viviendas de particulares, establecido por un decreto del Senado de la República Génova en 1576. El sitio comprende un conjunto de mansiones renacentistas y barrocas que flanquean las calles nuevas (strade nuove). Estos edificios presentan una extraordinaria variedad de soluciones arquitectónicas, que son de trascendencia universal por su ejemplar adaptación a las características particulares de su emplazamiento y las exigencias de una organización socioeconómica específica. También constituyen un ejemplo original de un sistema público de residencias privadas, cuyos propietarios tenían la obligación de albergar a los huéspedes oficiales del Estado. De Strade Nuove en het systeem van de Palazzi dei Rolli in het historische centrum van Genua dateren uit de late 16e en de vroege 17e eeuw, toen de Republiek Genua op het hoogtepunt van zijn financiële en zeevarende macht stond. Deze plek is het eerste Europese voorbeeld van een stedelijk ontwikkelingsproject verkaveld door een overheidsinstantie binnen een unitair kader en gekoppeld aan een bepaald systeem van 'publiek verblijf' in de private woningbouw, zoals verordend door de Genuaanse Senaat in 1576. Het system bestaat uit een groep van renaissance en barokke paleizen langs de zogenaamde ‘nieuwe straten’ (Strade Nuove). The Strade Nuove and the system of the Palazzi dei Rolli in Genoa’s historic centre date from the late 16th and early 17th centuries when the Republic of Genoa was at the height of its financial and seafaring power. The property represents the first example in Europe of an urban development project parcelled out by a public authority within a unitary framework and associated to a particular system of ‘public lodging’ in private residences, as decreed by the Senate in 1576. The property includes an ensemble of Renaissance and Baroque palaces along the so-called ‘new streets’ (Strade Nuove). As the city`s wealth increased during the 16th century, the wealthy aristocrats built a new district in the upper part of the city to the north of the narrow streets of tightly packed medieval buildings with streets and palaces laid out in a formal manner. The design of the streets is attributed to architect Galeazzo Alessi who designed several of the palaces as well. The residences, known as Palazzi dei Rolli, offer an extraordinary variety of different solutions, achieving universal value in adapting to the particular characteristics of the site and to the requirements of a specific social and economic organization. They also offer an original example of a public network of private residences designated to host state visits. Although the different palaces had distinct designs solutions, particularly in response to the local topography, they shared common characteristics. The palaces were three or four storeys in height with an entrance hall featuring spectacular open staircases, courtyards and loggias overlooking gardens. Interior decorations featured stuccos and frescoes. Together, the Palazzi dei Rolli cover 15.77 hectares. The buffer zone of 98.73 hectares around the Strade Nuove covers the entire historic centre. Criterion (ii): The ensemble of the Strade Nuove and the related palaces exhibit an important interchange of values on the development of architecture and town planning in the 16th and 17th centuries. Through the architectural treatises of the time, these examples were publicized making the Strade Nuove and the late-Renaissance palaces of Genoa a significant landmark in the development of Mannerist and Baroque architecture in Europe. Criterion (iv): The Strade Nuove in Genoa are an outstanding example of an urban ensemble consisting of aristocratic palaces of high architectural value, which illustrate the economy and politics of the mercantile city of Genoa at the height of its power in the 16th and 17th centuries. The project proposed a new and innovative spirit that characterized the Siglo de los Genoveses (1563 to 1640). In 1576, the Republic of Genoa established a legally based list of Rolli recognizing the most outstanding palaces for official lodging of distinguished guests. The boundary encompasses the main ensembles of Renaissance and Baroque palaces along the two main streets of the Strade Nuove. Individual palaces retain their integrity. This area of Renaissance urban renovation was integrated with the medieval part of the city and has retained its relationship with this context intact. In addition to the Rolli palaces, the property also includes other historic buildings, such as medieval houses as well as more recently constructed buildings. Modern interventions (e.g. the addition to the city’s theatre) are relatively limited and do not disturb the overall character. As a sea power, the city of Genoa has always been closely associated with its port, which nonetheless was separated from the city for centuries by partitions of different nature such as the walls from the 17th century, the “marble terraces” in the 19th century and other service facilities. In the post-war period, a motorway was built and elevated on pillars above ground. The connection between the port and the centre has now been partly re-established by removing the railway and storage structures and repaving the area for pedestrian use. The Committee at the time of inscription encouraged consideration of the motorway being put in a tunnel in order to strengthen the connection between the palaces and the sea. The nominated area encloses the ensemble of the Strade Nuove and part of the medieval fabric. The street pattern of this planned Renaissance urban ensemble above the medieval city has been retained. The area contains the 42 palaces that were on the list of Rolli. These palaces include those that were the most representative and have best preserved their authenticity. Only one of the palaces was partly damaged during the war and the damaged upper story has since been rebuilt. This palace and other two palaces on Via Garibaldi are used as museums. Many of the Rolli palaces are privately owned and therefore retain their original function as lodging for Genoese families. Others provide office or commercial use. However, the owners have made the necessary adaptations with due respect to the original structures and the historical authenticity of the buildings. As a result of the initiatives undertaken, particularly from the 1990s, the palaces have been surveyed and their state of conservation has been verified. The façades and the interiors of many have been carefully restored. The palaces are in good state of conservation and their condition is monitored by the state authority. The property is entirely surrounded by the city’s historic centre, which forms the buffer zone. This historic centre is defined as a conservation area with appropriate regulations in its Urban Master Plan. Also, the city has adopted a Conservation Management Plan for this area. The Rolli Palaces and other monumental buildings included in the property are all protected by the Legislative Decree 42/2004, Code of Cultural Assets and Landscape. Interventions on the property must be authorized by the relevant Soprintendenza (peripheral office of the Ministry for Cultural Heritage and Activities and Tourism), which may either deny the interventions for conservation reasons or authorise them only partially. The palaces fall under several different types of ownership. Some are privately owned, some are in public ownership (Municipality of Genoa, State – Ministry of Cultural Heritage and Activities and Tourism), some host the offices of public institutions as well as museums, and others are in mixed ownership. Since 2002, the palaces have been part of the Association of Palazzi dei Rolli, an organization that promotes their enhancement and management. The management structure of the property is coordinated by the Palazzo Ducale Fondazione per la Cultura, which cooperates with the representatives of all other involved institutions. The management structure is directed by a Steering Committee made up of representatives of the bodies which have signed the Protocol itself (the City Council, the Directorate of Cultural Heritage and Activities of the Liguria Region, the Soprintendenza for Architectural Heritage and the Ligurian Countryside, the Liguria Region, the Genoa Province, the University of Genoa, the Chamber of Commerce of Genoa and the Palazzo Ducale Fondazione per la Cultura), with political functions defining strategies, approaches and priorities. The implementation of the Management Plan is entrusted to a technical structure divided into 3 working parties, which relate to the three sectorial plans: Plan A. Knowledge, protection and conservation; Plan B. Cultural promotion; Plan C. Social and economic enhancement. In terms of development, the historic area that forms the buffer zone is being improved and the medieval building stock is receiving assistance. Alterations to properties are regulated with strict controls and demolition is forbidden under the terms of the Management Plan. Moreover, the Strade Nuove are the focus for tourist development. Because of its management agility and flexibility, the Palazzo Ducale Fondazione per la Cultura has been identified as the organization most suitable for performing the work of coordination between the parties involved in the management of the property. 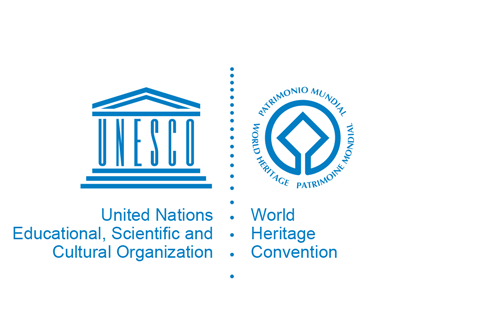 The Coordinating body is supported by a Scientific Committee which checks the consistency of the sectorial policies with the objective of safeguarding the integrity of the heritage as required by the World Heritage Convention. The unitary nature of the plan’s structure will give rise to integrated programmes, developing synergies and optimizing the economic investments of the various parties.